What do you get when you combine the rockin’ soundtrack of live music with tastes of San Diego County’s most sought after brews? The Rhythm and Brews Music & Craft Beer Festival! 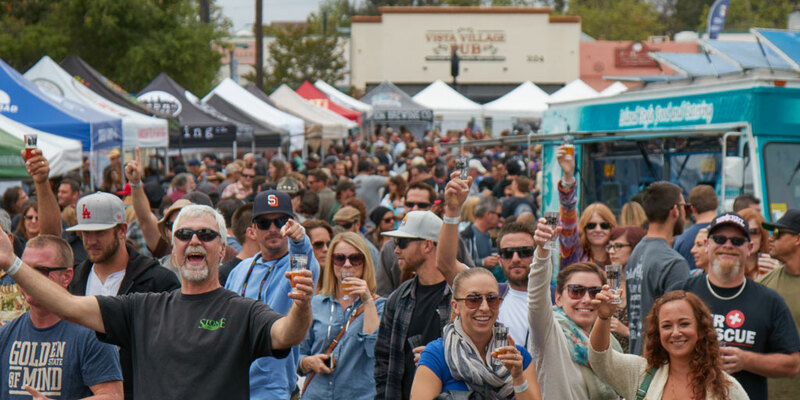 The San Diego Brewers Guild’s annual must-attend festival in the heart of historic Vista Village is quickly approaching on Saturday, May 6th. All craft beer aficionados are invited to experience what sets San Diego craft beer apart from the rest – its breweries and its enthusiasts, of course. San Diego County is home to more than 130 breweries, with 24 more in planning in 2017. This quantity (and quality) of local breweries provides ample opportunities to explore a variety of craft brews. Rhythm and Brews is the perfect place to get acquainted with the best of what San Diego breweries have to offer. At North County’s most rockin’ beer festival, sample 100+ beers from 50+ local breweries, including taps from Karl Strauss, Bear Roots and AleSmith. Whether you prefer stouts, IPAs or anything in between, this festival has a beer for every taste. Craft beer fans can groove to live musical performances and enjoy delicious eats from local food trucks. Check out the beer and music lineup and snag your tickets now! VIP tickets grant its holder entry at 12:00 PM to sip exclusive brews for an extra hour prior to general admission. 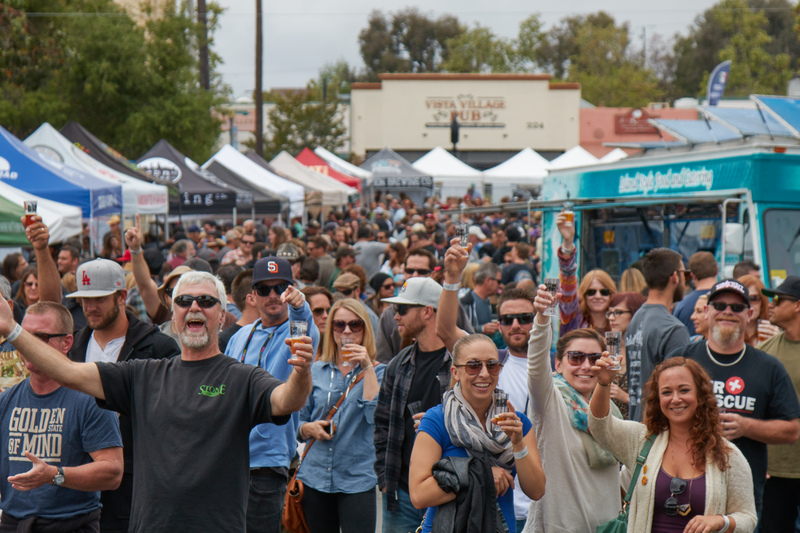 Last year, 1,600+ people joined in the festivities to celebrate San Diego’s craft beer community. Rhythm and Brews overtakes historic downtown Vista Village for an entire craft beer-filled afternoon. 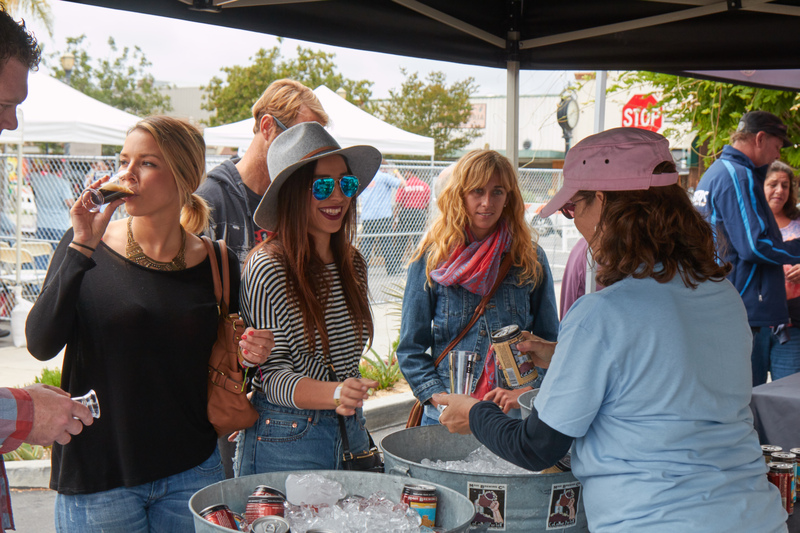 Proceeds from the festival benefit the San Diego brewers Guild – a non-profit whose mission is to promote awareness and visibility for San Diego’s growing craft beer industry. This entry was posted in San Diego Events and tagged craft beer, special events by Guest Blogger. Bookmark the permalink.